This 1-day ISO 9001:2015 training focuses on the transitioning from ISO 9001:2008 to 9001:2015. 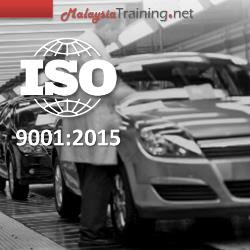 It helps participants to understand the changes made in ISO 9001:2015 for smooth transition. Management team members, engineers, executives, and operational staff members are encouraged to attend. Identify the key envisaged changes to ISO 9001. Communicate any changes in QMS specific requirements arising as a result of transitioning from ISO 9001:2008 to ISO 9001:2015. Identify what the changes will mean for organizations. Types of emerging stakeholders' (interested parties) pressures on your business. How the principal changes defined in the new standard may be accommodated by an organisation that already has ISO 9001 certification. Why is ISO 9001 Changing? Findings of the Worldwide ISO 9001 Survey. The Need to Align to Management Standards. 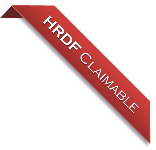 Overview and Applicability of the High Level Structure (HLS). Understanding the Concept of Exclusions. Terms and Definitions within the Context of the Quality Management System. Reduction of the Prescriptive Nature of Several Requirements. Understanding the Organziation and its Context. Determining the Scope of the Quality Management System (QMS). Model of a process-based QMS. Single process within the System.